How GuideRT Works - TherVoyant, Inc.
GuideRT is a revolutionary technology platform that offers an easy-to-use, Apps-based workflow interface to interactively guide surgical procedures with immediate feedback using real-time MRI. 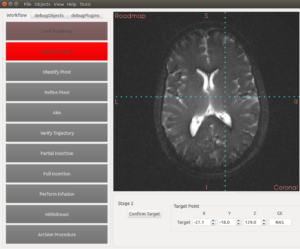 GuideRT controls the operation of the MRI scanner using pre-defined modules that interact with the MRI scanner control features, including the pulse sequence definition, image acquisition, image reconstruction, data storage, and tissue visualization. Our modules are autonomous from the host MRI scanner software, so we can create an easy-to-use interface that is consistent across scanners. The workflows for GuideRT are created by a team of MRI physicists who optimize image quality while simultaneously ensuring that requested images will be accepted by the MRI scanner for each application. 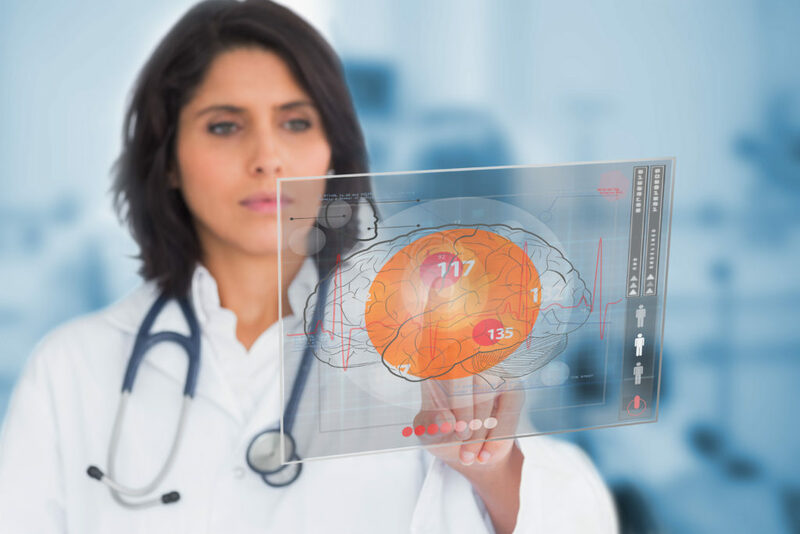 TherVoyant’s team includes neurosurgeons, radiologists, and other end-users to optimize the types of images and their presentation. 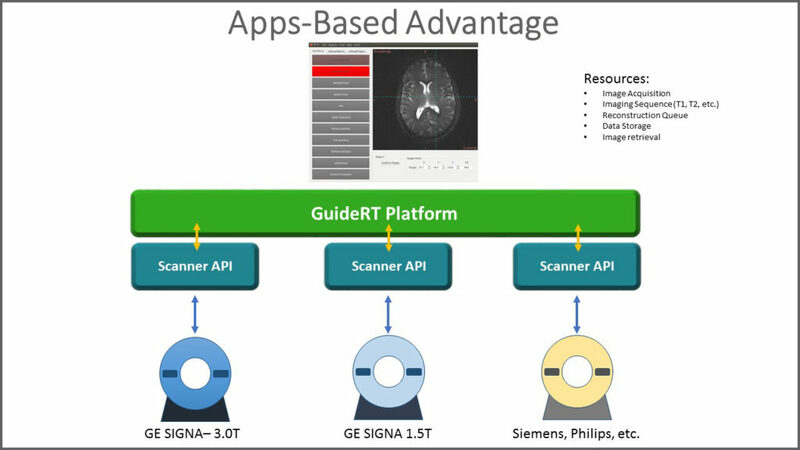 GuideRT controls the MRI scanner’s resources through defined software pipelines. This approach is analogous to an app on a cell phone, which takes advantage of existing hardware (camera, touchscreen, antenna, etc.) through well-defined software API’s. The details of GuideRT’s interaction with the MRI scanner hardware are isolated to well-defined APIs which provide a constant set of inputs and outputs. The APIs concentrate on the details of the ever-changing landscape of the MRI scanner hardware, which enables GuideRT the ability to provide a continuous user experience across a wide variety of scanners. One of the key aspects of GuideRT’s Apps-Based approach is that patient safety is never compromised. The GuideRT apps make requests of the MRI scanner for specific images, but these requests cannot override the MRI scanner’s FDA-approved systems for ensuring patient safety, such as the maximum permissible SAR (Specific Absorption Rate) level. The “Apps-Based” workflow approach allows an FDA regulatory approval pathway that is independent of the MRI scanner regulatory process. This greatly reduces the FDA regulatory burden thus yielding a much faster approval process for new procedures.